Many Mac owners may be under the impression that their computers don’t need antivirus protection. They're inherently safer, right? While there are fewer Trojan horses, viruses and worms designed to attack Macs than PCs, that doesn’t mean they’re immune to infection. “Many threats, like phishing, don't care whether you're running Windows or a Mac,” says Christopher Budd, global threat communications manager for Trend Micro. In fact, a serious threat to Macs was verified as recently as December 2014, according to the National Vulnerability Database. To combat this threat, Apple issued its first ever automatic security update for Mac computers in December. (Previously, Mac users would initiate the security updates themselves.) The bug, CVE-2014-9295, could enable hackers to gain remote control of machines through a vulnerability with the network time protocol, or NTP, which synchronizes a computer’s clock. It was serious enough that Apple didn’t want to wait for users to fix it themselves, according to Reuters. With even one threat on the table, protection is needed. 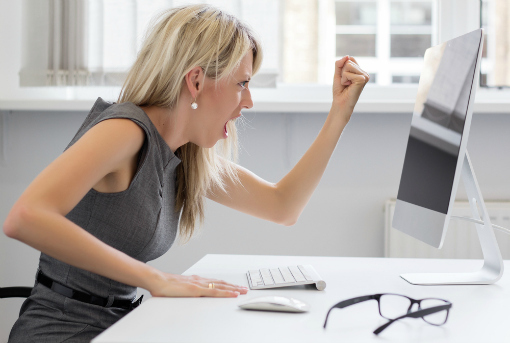 So we set out to find the best Mac antivirus software out there. We reviewed security lab results, interface accessibility data, and product feature ratings from independent experts and websites to recommend our favorites. We placed an emphasis on performance and security over a trunk full of features. To find the best freeware, it had to meet top-notch security ratings while still offering a few perks. For paid software, we decided it had to not only achieve high security ratings, but it had to cost less than $100, offer a one-year subscription with multi-device protection, and be designed for home use. With that, we narrowed it down to our two security software picks -- one free, one paid -- for 2015. 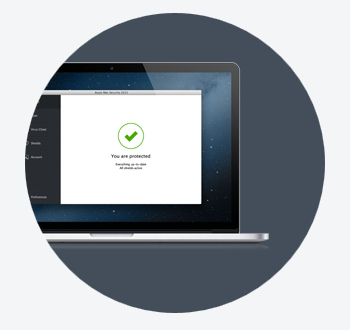 Avast Free Mac Security 2015 is the go-to software for protecting your Mac without spending a penny. It’s a simple, on-demand scanning platform that can complete four different types of scans: Full System Scan, Removable Volumes Scan, Home Scan or Custom Scan. While the variety is useful for performing different system checks, it lacks the scheduled scans feature that many busy consumers want. Nonetheless, its simple-to-use interface, strong all-around coverage, and anti-spam features still pull it ahead of other free offerings. While it’s not perfect at detecting all intrusions, independent security researcher AV-TEST reports that it gets the job done -- after all, it's free. In testing, it performed the highest among its freeware counterparts, detecting 97.4 percent of all on-demand threats (above the average of 80.8 percent). It even outperformed some paid competitors, including Kaspersky, which only detected threats 93.2 percent of the time. It also held its own with paid offerings when it came to minimizing system slowdown. Once Avast detects something suspicious, it locks it away in a quarantined area called the Virus Chest, where you can choose to restore it if it’s a falsely-identified file, or delete it altogether. And like most of its competitors, Avast also detects Windows malware. Generally, free security packages are pretty bare bones in their features. But Avast takes the freeware landscape to a new level by offering an anti-spam tool, which is uncommon among its freeware competitors. Similar to paid versions, Avast monitors incoming web data — through its Web Shield and Mail Shield features — like malicious links or attachments, and flags and isolates any threats it finds. Additionally, in early 2015, Avast will include the industry’s first four-pronged home network security system. The system’s Home Network Security scan can identify misconfigured Wi-Fi networks, routers with weak passwords and compromised Internet connections. The SecureDNS feature encrypts the Internet traffic between Avast-protected devices and Avast’s DNS server to prevent users from being directed to malicious sites. A new Smart Scan feature will integrate all on-demand scans into one (antivirus, Home Network Security, junk-file cleaning, and software update scans) to meet your security needs. Rounding out this four-component security system, Web Shield will get an upgrade to be able to scan securely-encrypted sites for malware and threats. Web Shield will accomplish this by detecting and decrypting TSL/SSL protected traffic in its web-content filtering component for any threats, Avast says. 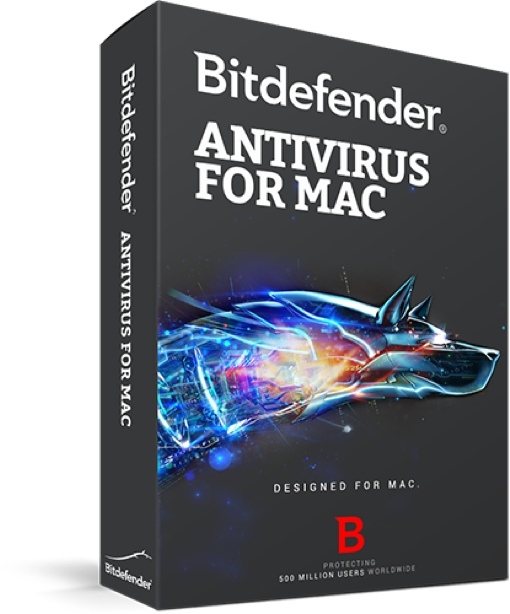 Bitdefender Antivirus for Mac offers greater security than its competitors at a comparable cost. It's $59.95 for a one-year subscription, which covers up to three Macs. Some Mac antivirus protection products tout just the “Internet security” feature and neglect the rest of a computer’s needs. Or for “total” protection, you’re limited to protection for just one device and it costs 50% more than standard protection. Bitdefender balances cost and protection in the same product, offering coverage against adware, polymorphic viruses, spyware, trojans, worms, and more. Bitdefender has a simple interface that’s easy to understand. If your Mac’s safe, you’ll know it because a green checkmark in the status bar will tell you so. If a security issue is detected, the status bar turns yellow and offers tips on how to quickly fix the issue. To scan your Mac for possible threats, you have four options: Scan Critical Locations, Full System Scan, Scan a Custom Location and Continuous Scan. Scanning critical locations checks for malware in your vulnerable hotspots, such as documents, downloads, attachments, and temporary files folders. The full scan checks for malware on the entire system, including connected mounts, like external drives. You can hide certain folders and drives from Bitdefender’s watchful eye by adding them the exclusions list, or choose to scan a specific location, such as a once-hidden external drive. A downside is that you can’t schedule scans. Instead, Bitdefender includes Continuous Scan mode, which keeps the software running day and night in the background. On the plus side, you’ll always have the most up-to-date protection because it’ll automatically update its virus-tracking database in this mode. (If Continuous Scan mode is off, you can still update the by going to Actions > Update Virus Database.) And you may never even know it’s there: in the third-party lab tests, "Bitdefender hardly slows the system at all," says AV-TEST. If you share files with Windows users (or your own PC), you’re covered as well. The software detects Windows viruses on your Mac, and while these threats can’t affect your Mac, you can still pass them on to Windows computers on the same network if you're not protected. Bitdefender also automatically scans any files you download for security threats, alerting you when a problem is detected. You can track and adjust these alerts since they’re fully integrated into your Mac’s Notification Center (go to System Preferences > Notifications). For security on the web, Bitdefender connects its free TrafficLight extension, which monitors your web traffic and blocks any malicious content. It also notifies you of worrisome websites in your search results (with a red dot), and detects and blocks suspicious links it finds on Facebook and Twitter. TrafficLight detects “trackers” as well; code snippets that track and analyze browsing behavior. All scans happen in the cloud, so the extension offers a strong layer of protection without slowing you down. TrafficLight is available for Firefox, Google Chrome and Safari. While Bitfender excels at malware protection, it’s still lacking in a couple of areas. For example, families may prefer a security suite with parental controls added in. But OS X’s complementary parental controls system already lets you manage and monitor your child’s computer use, interactions and Internet activity (to access this feature, go to System Preferences > Parental Controls). It’s also missing its own firewall protection, but again, your Mac already has its own firewall tools to stop malicious network traffic. Plus, in third-party lab tests, some of Bitdefender’s competitors that do offer firewall protection actually performed poorly at malware detection tests. (For example, Symantec only detected threats 54.7 percent of the time, compared to Bitdefender’s 100 percent, according to AV-TEST.) So we’ll take greater malware protection and speedy performance over additional bells and whistles any day. I am currently using Bitdefender free version and it seems to be decent. How does the free version of Bitdefender do compared to the competition? The free version of Bitdefender doesn’t continuously protect you from malware, it only runs on demand. So malware could get on your system and be active until you run a new scan - and by then, the damage could already be done.